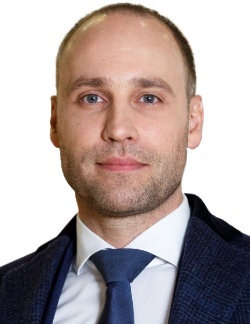 "These days, when security has become an integral part of IT infrastructure and the corporate strategy that improves business operations and adds value, All-over-IP gives the professional community an opportunity to share knowledge and vision for how to benefit from The Next Big Thing", says Anton Skvortsov, Deputy Vice President, Market Eurasia, Access Solutions EMEA at dormakaba. dormakaba will sponsor The Integrated Security Conference to promote the concept that considers access control, time and attendance, video surveillance, and ERP performing as components of a single solution supporting business management. Sponsored by dormakaba, The Integrated Security Conference will make an exceptional event. Visitors including system integrators, security installers, engineering contractors and end-users will learn new enterprise scenarios for security systems and user experience unveiled by integration. dormakaba access control solutions are tailor-made to connect with the SAP ERP for automatic data collection from time and attendance, and access control systems, simple data administration and seamless data transfer into the ERP system. This approach eliminates the need to set dedicated security databases that require third-party management software solutions. dormakaba's strategy allows to optimize investments in security systems as well as leverage access control and time and attendance data to assess a business's ability to generate earnings compared to its expenses. Global brands and technology leaders are welcome to join dormakaba to address the right audience for business in Russia! Please, contact Alla Aldushina or Olga Fedoseeva for exhibiting or speaking details.